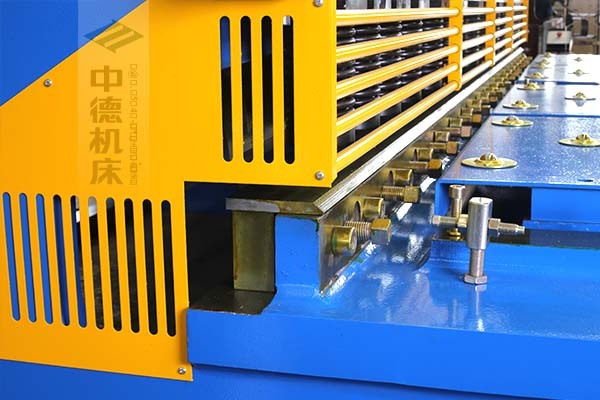 ZDS-2032 (QC12Y-20X3200) Plate Sheet Shearing Machine - ANHUI ZHONGDE MACHINE TOOL CO., LTD. 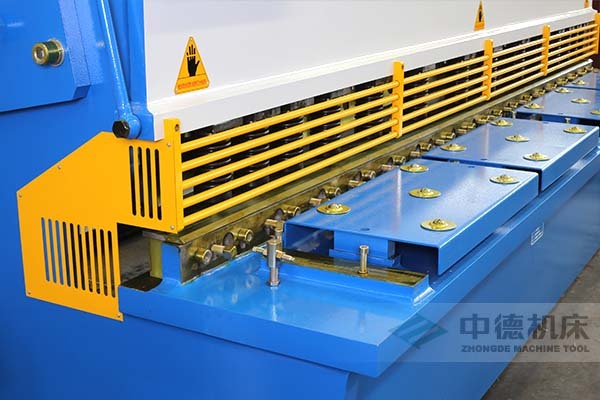 The model of this plate sheet shearing machine is ZDS-2032 (QC12Y-20X3200),the maximum cutting thickness is 20mm and the maximum cutting length is 3200mm;E21S as the simple CNC controller,it can control the movement of backgauge,achieving efficient and highly precise positioning. 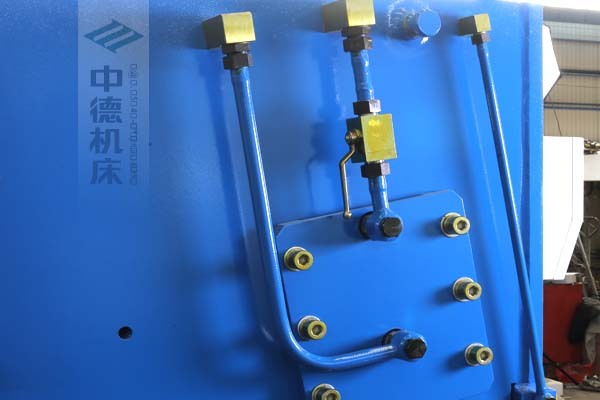 ● Steel plate welded structure,hydraulic transmission and accumulator return strock. 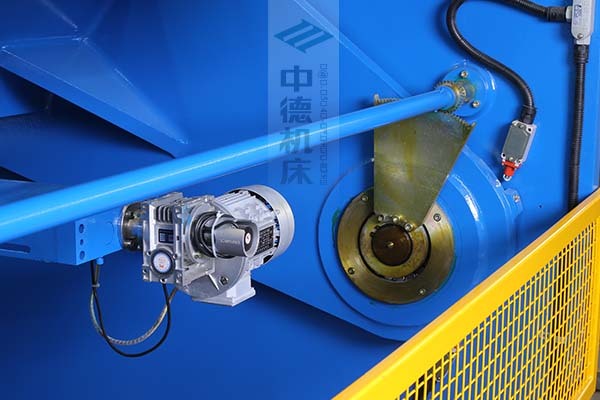 ● Characterized by easy operation,reliable performance and fine appearance. ● Indicator based gap adjustment of blades,convenient and swift. ● Top blade could be adjusted for full stroke or shorter ones. ● Fence guard for personnel safety. 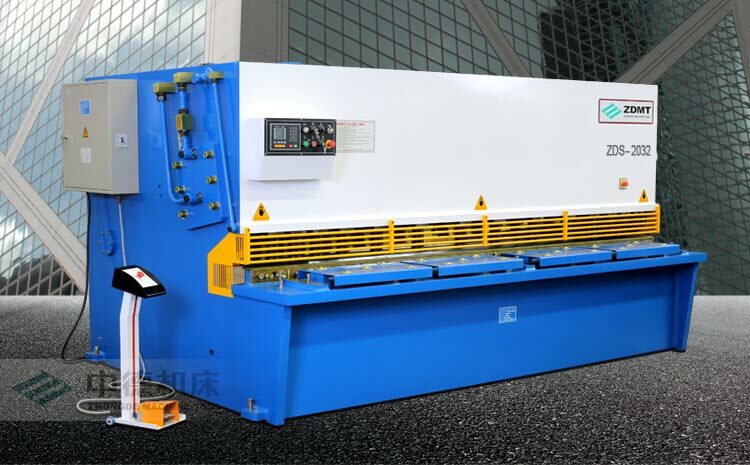 ● E21S as the simple CNC controller,it can control the movement of backgauge,achieving efficient and highly precise positioning. 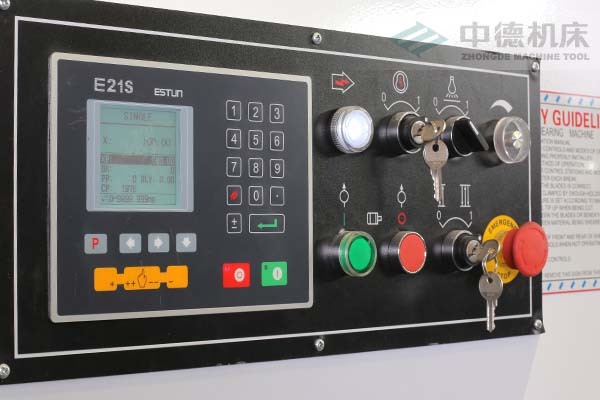 ● E21S simple CNC controller for ZDS-2032 hydraulic shearing machine. 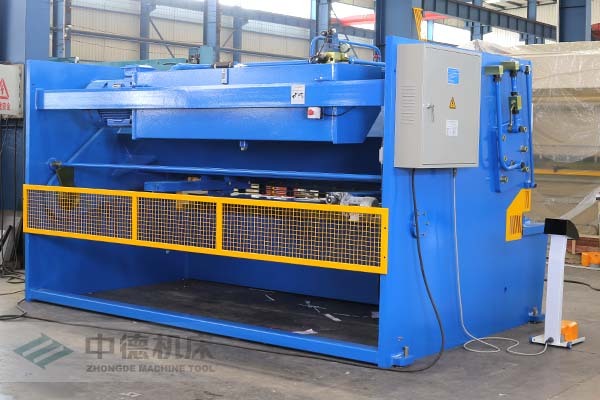 ● Rear view of ZDS-2032 hydraulic shearing machine. 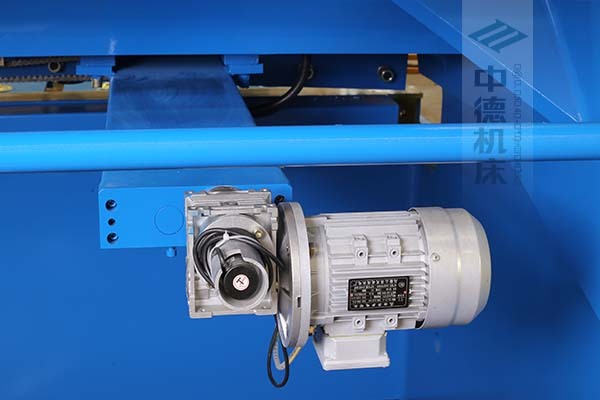 ● Top brand main motor,with strong power. 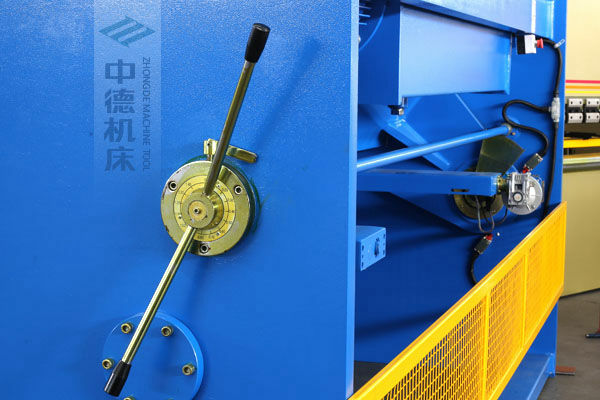 ● Manual adjustment of blade clearance device,with high precision. 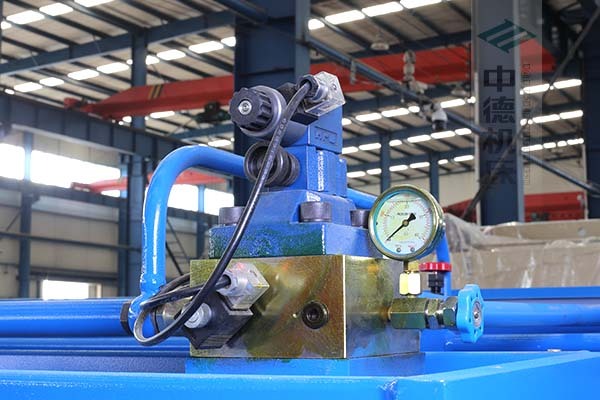 ● Domestic high quality hydraulic valve,no oil leakage and fault,it can show the oil pressure in time,and it use full-metal high-pressure tube connection,ensure the quality. 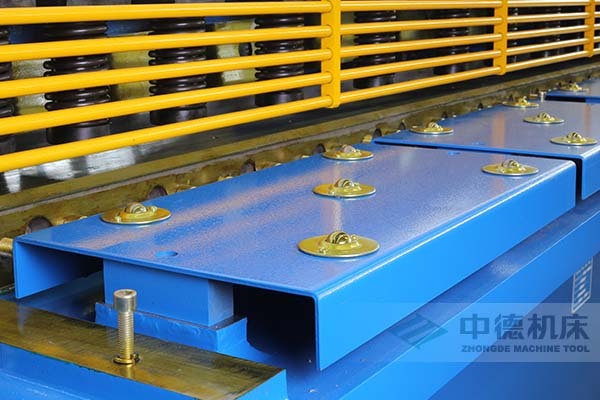 ● Penetration guard fence around the shear,not only protect the safety of operator but also observe the shearing position. 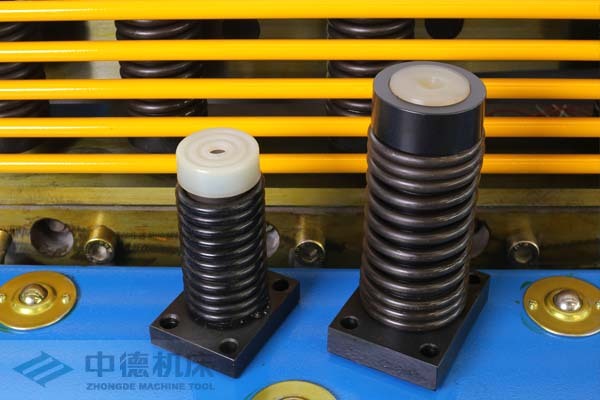 ● Ball worktable can reduce the sheet metal contact with the workbench,reduce working intensity;Using high quality holding-down clamps. ● Shanghai good quality blades,with long lifespan. 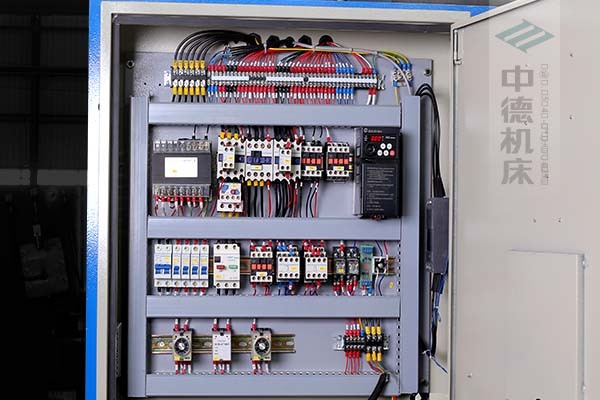 ● Good quality electrics,with Taiwan frequency inverter drive,accurate control,stable,durable and long lifespan. ● Domestic high quality bearing,wearproof and long operation life. ● Using high quality holding-down clamps. 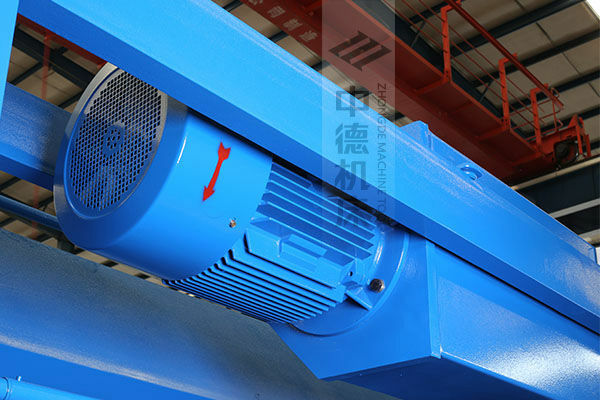 ● Backgauge AC motor together with reducer,little fault and fast speed. ● Bite type tube fittings is used to avoid disadvantages of uneasy maintenance etc that caused by welding. 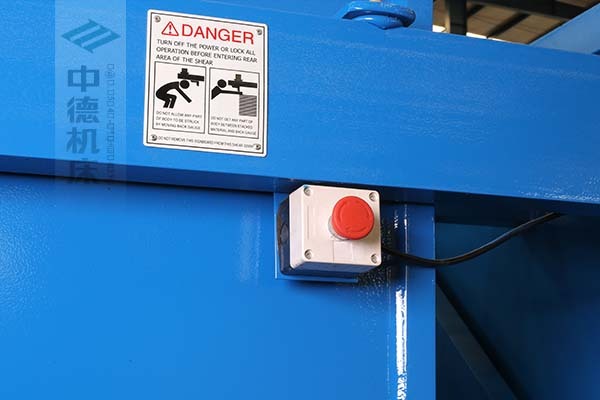 ● Emergency stop button on the back of the shear machine,to protect the personnel safety.